Here is a fun and easy game to play in your classroom to practice multiplication facts. It is a print and go game and you just add a pencil and paperclip as a spinner and each player needs some sort of marker to mark their space. The directions are printed on the bottom of each game. 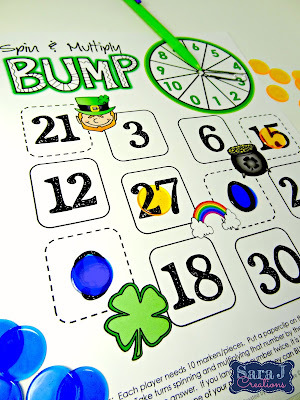 A fun and easy way to celebrate St. Patrick's Day all month long. Click on the picture to grab your freebie!